I apologize for not being more on it when it comes to reviews! I have been having a tough couple of weeks and will talk more about it during my What’s In Janellie’s Belly post. Anyhow, since I had a department store review a few days ago, I thought I would share a drugstore review today on something that I think a lot of you may be interested in. There is always a soft spot in my heart for Maybelline products. It was the first drug store brand that I used and I have honestly fallen in love with a lot of their products. Though I may find a lot of hits, I often find a few misses here and there. 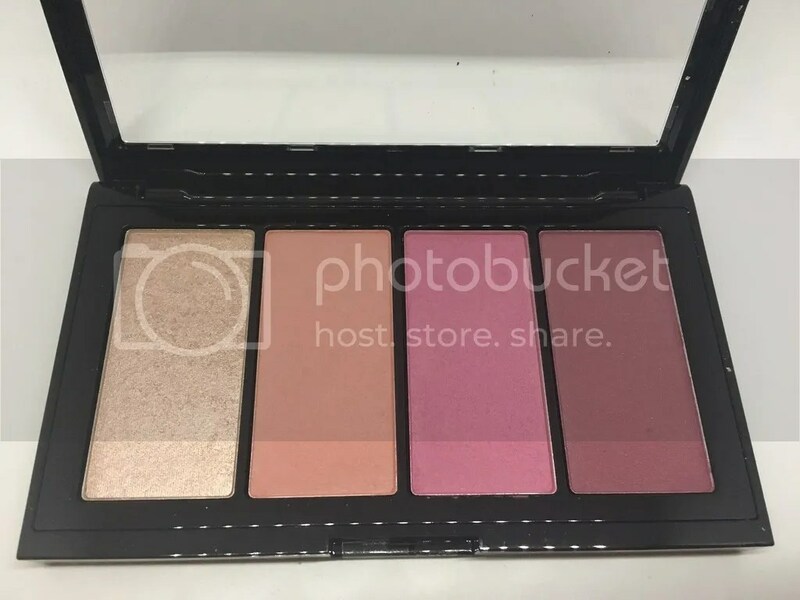 In this palette you get three blushes and one highlight. 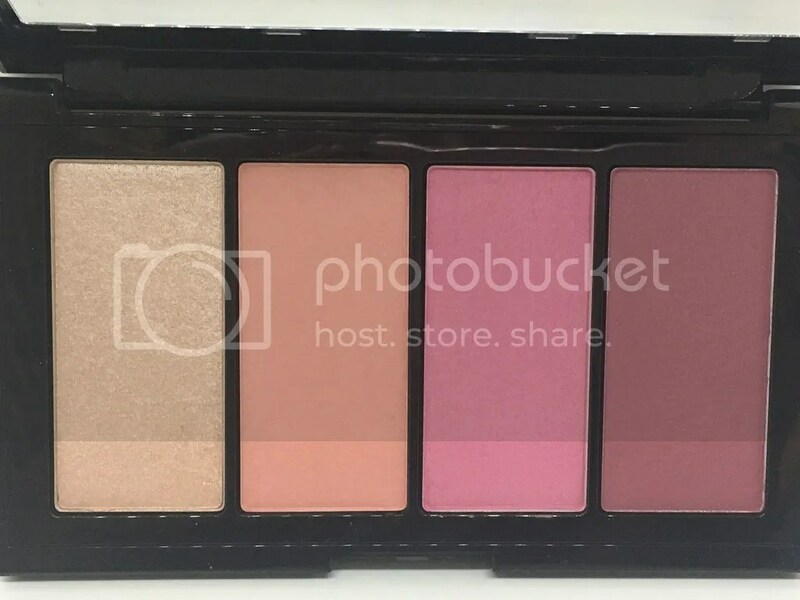 I think this is a great palette for anyone. If you are an average makeup user and don’t like to have a ton of products laying around, this is something I think you would be interested in. The color variety is great and you can always mix shades together to get a unique color that’s right for you. I feel like this palette would flatter everyone and suits so many different skintones. All the blushes are pigmented and pretty easy to work with. I had minor difficulties blending out the darkest color (far right color), but once I took my powder brush over it, I was able to blend out the edges. The color variety, in my opinion, is so well thought out. The first color is the highlighter, the second color is a warm pinky-peach, the third color is a cool-toned pink, and the last color is almost like a berry color. Each of these colors are matte and can be built up to create an intense look or lightly applied to give just a flush of color. I could not stop using the pinky-peach blush just to warm up my overall skin tone and provide just a hint of color. I personally didn’t like either of the two other blushes on me personally, mainly because I’m not a huge blush person. I tend to stick with the peachy colors because it’s easy for me to wear and provides a warmth to my skin. Though I don’t use the other two colors daily, I have tried them and like I mentioned before, I think they would look great on anyone and you can always mix them to come up with your perfect cheek color. I would consider the highlighter as more of an illuminator rather than highlighter. You get a soft glow and it’s difficult to pick up too much product. I always tend to put at least 2-3 layers on using a flat top brush. The highlighter itself has a peachy golden glow (almost like a rosey gold) to it, but because it’s not extremely intense it can work well for a variety of skintones! You don’t have to worry about it looking too ashy or it being too pigmented. I feel like it can just meld with your skin and provide an illumination rather than an all out glow. In my opinion, all the colors in this palette will work for a wide variety of skintones. At first I didn’t like the fact that the highlighter wasn’t extremely intense and I hated that I had to really build it up to get anything! However, I figured that it’s probably a really good thing that it’s a buildable glow (not highlight) because it can appeal to a wider audience. I have to admit I don’t really love how a highlight like Champagne Pop looks on my extremely textured skin, but when I use a product that provides more of a glow, it makes my skin look healthy and radiant with accentuating problem areas. If I were an average makeup user, I think I would definitely appreciate having this palette. I feel like it’s a great go-to blush palette that has a highlighter that isn’t too intense and it’s relatively affordable. In my mind, at a drug store, I would pay around $6-$7 for a single blush, so to get three blushes and a highlighter in a travel-friendly compact for $13, it’s pretty reasonable in my opinion. I would definitely recommend this to those who like to keep their collection relatively small and are looking for staple items/colors to add to their everyday makeup routine. The colors last almost all day, they are easy to apply, and the blushes feel dry to the touch, but the highlighter feels semi-buttery, but that doesn’t affect the application. HOWEVER, the highlighter does have the most kick-up when you put your brush in it, I didn’t have any issue with the blushes having that problem. 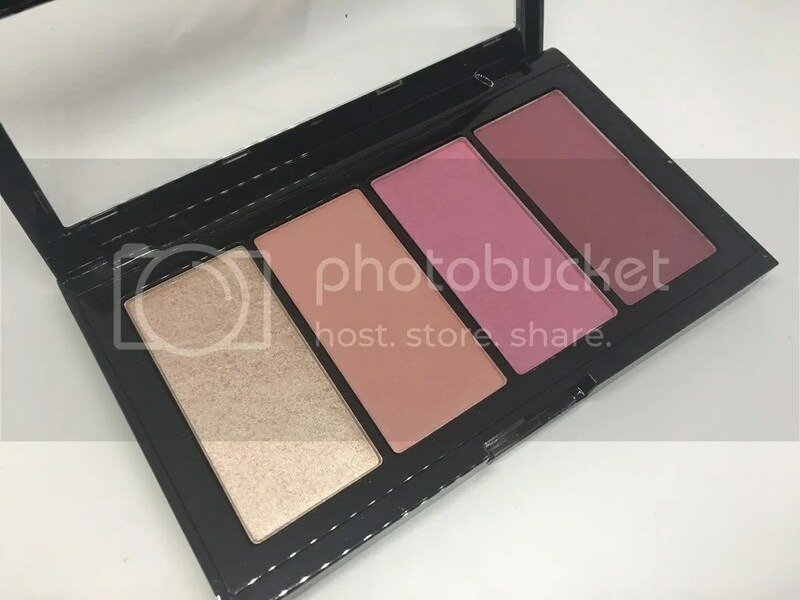 Let me know if you have tried this blush palette from Maybelline and what your thoughts are in the comment below! Also, if you want to stay up to date with the products I’m reviewing or what I’m interested in, follow me on Instagram (ciaociao808), Twitter (ciaociao808) and youtube (youtube.com/msluvly1234).